Using the link or buttons in this email will earn me a small commission if you make a purchase after clicking on the link below. Thank you in advance for your support! Use the group code APRILCRAFT and save 10% and free shipping 10% Circle and 10% Access discounts apply automatically. DO YOU NEED OTHER CRICUT® PRODUCTS? Group code not available on Machines, BrightPad®, EasyPress® use code MYSTERYMARCH for free shipping on orders of 99.00 or more. 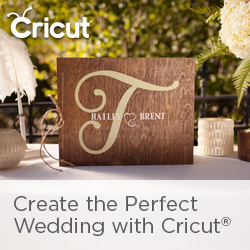 I am a Cricut® affiliate! The links on this website are "affiliate links." This means if you click on the link or photo ad and make a purchase, I will receive an affiliate commission. All affilaite links are indicated with #ad for identification. ALL PHOTO's are affiliate links and are contained in the blog post and under the affiliates heading below. These are at no additional cost to you. I only recommend products I use and believe could add value to my viewers. I am disclosing this in accordance with the Federal Trade Commission's 16 CFR, Part 255: "Guides Concerning the Use of Endorsements and Testimonials."